Starred Review. 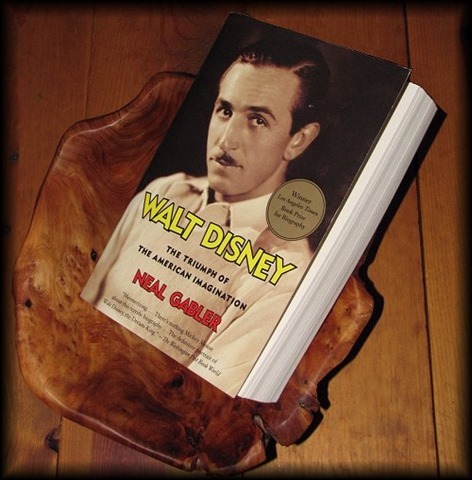 Few men could be said to have as pervasive an influence on American culture as Walt Disney, and Gabler (Winchell) scours the historical record for as thorough an explanation of that influence as any biographer could muster. Every period of Disney’s life is depicted in exacting detail, from the suffering endured on a childhood paper route to the making of Mary Poppins. The core of Gabler’s story, though, is clearly in the early years of Disney’s studio, from the creation of Mickey Mouse to the hands-on management of early hits like Fantasia and Pinocchio. "Even though Walt could neither animate, nor write, nor direct," Gabler notes, "he was the undisputed power at the studio." Yet there was significant disgruntlement within the ranks of Disney’s employees, and Gabler traces the day-to-day resentments that eventually led to a bitter strike against the studio in 1941. That dispute helped harden Disney’s anticommunism, which led to rumors of anti-Semitism, which are effectively debunked here. At times, Gabler lays on a bit thick the psychological interpretation of Disney as control freak, but his portrait is so engrossing that it’s hard to picture the entertainment mogul playing with his toy trains and not imagine him building Disneyland in his head. 32 pages of photos. ARGH! I was beginning to think I would never finish this book! And yes it says it’s 912 pages (which it is)..however.. the part you read is 633 pages.. the rest is the appendix and “names to pages”. Anyway..I wanted to finally read about Walt Disney. I had wanted to for some time if the truth be known. You see, I grew up watching The Mickey Mouse Club with “Uncle Walt” and then the other Disney show “in living color”. So when I was married and had 2 sons and we came to Florida to visit a friend we made a special trip to Disney World… something I dreamed of since I was a kid, and something I never thought would happen. So when we got on this “Tram” and we headed towards Fantasyland and I started seeing the “hedges” cut into animal shapes from Disney movies… the tears began to flow! A Dream come true. Over many more years I would hear things like: working for Disney was not so nice as one would think. Then I even met an artist who worked there during the years from sleeping beauty up to beauty and the beast. He didn’t speak harshly about Walt himself but the business didn’t seem to be the happy loving place that was expected. Reading this book cleared a bunch of that up. I think I understand Walt Disney more now and although I can’t say I understand all his “mood changes”..I can say that I do believe he was a genius in kids body. It was almost like he was born just to do the things that he did. But..it was not a book written in such a way that you rushed back after you set the book down. Parts were a little long in the tooth, but still I felt I was always learning to understand the mind of Walt Disney…but I am also sure NO ONE could ever really understand his genius mind.